This is not a new recipe for me to make. 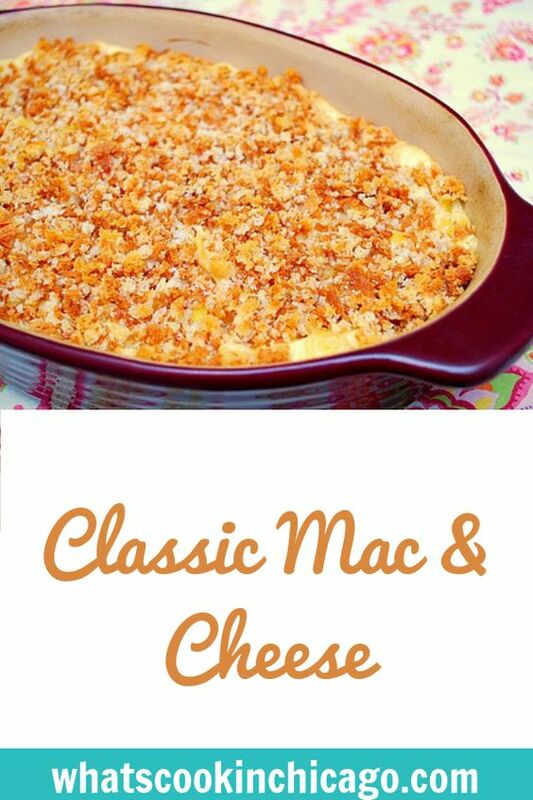 In fact, I've featured this years ago when my friend Maria hosted a Mac & Cheese recipe cookoff. The recipe comes from Cook's Illustrated and I made minor changes to make this gluten free friendly. Using gluten free pasta and a gluten free flour blend, this came out just as delicious as the original made with all purpose flour. For the breadcrumb topping, I used slices of Udi's white bread which worked perfectly. Honestly, when I made this for The Baron, I was nervous that he wouldn't like it because it doesn't capture the delicious of the "blue box," which happens to be his favorite. Thankfully he enjoyed it and even took home leftovers. Joel liked it too and has already eaten up leftovers! This recipe is a great one to use as a base for other things you can stir in or incorporate. Bacon, broccoli, ham, peas, tuna, etc, whatever tickles your fancy will work nicely with this recipe! 1. For the bread crumbs: Pulse bread and butter in food processor until crumbs are no larger than 1/8 inch, ten to fifteen 1-second pulses. Set aside. 2. For the pasta and cheese: Adjust oven rack to lower-middle position and heat broiler. Bring 4 quarts water or chicken broth to boil in Dutch oven over high heat. Add macaroni and 1 tablespoon salt; cook until pasta is tender. Drain pasta and set aside in colander. 3. In now-empty Dutch oven, heat butter over medium-high heat until foaming. Add flour, mustard, and cayenne (if using) and whisk well to combine. Continue whisking until mixture becomes fragrant and deepens in color, about 1 minute. Gradually whisk in milk; bring mixture to boil, whisking constantly (mixture must reach full boil to fully thicken). Reduce heat to medium and simmer, whisking occasionally, until thickened to consistency of heavy cream, about 5 minutes. Off heat, whisk in cheeses and 1 teaspoon salt until cheeses are fully melted. Add pasta and cook over medium-low heat, stirring constantly, until mixture is steaming and heated through, about 6 minutes. 4. 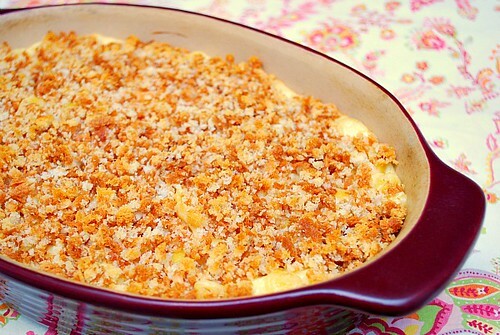 Transfer mixture to broiler-safe 9 by 13-inch baking dish and sprinkle evenly with bread crumbs. Broil until crumbs are deep golden brown, 3 to 5 minutes, rotating pan if necessary for even browning. Cool about 5 minutes, then serve. A great site to help give you some exposure and link back to your site is www.flauntmyfood.com just wanted to share, cuz i think ur stuff is great!